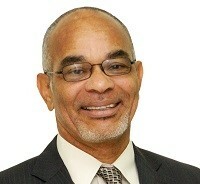 The Grenada Electricity Services (GRENLEC) announces the appointment of Collin Cover as the new General Manager. He takes up the position in August of this year. Cover replaces former General Manager, Vernon Lawrence, who retired in 2012. Chief Engineer, Clive Hosten has acted as Interim Chief Executive Officer. Cover has served as General Manager of Dominica Electricity Services (DOMLEC) for the past five years and brings a wealth of knowledge to the company, with over 35 years of experience in the industry. Cover has also worked for several years in senior positions at the Grand Bahama Power Company. He will be responsible for the achievement of the strategic, operational and financial goals and objectives of GRENLEC, among other responsibilities. His appointment comes just weeks after Chairman of the Board, Robert Blanchard, announced that WRB Enterprises had no further interest in disposing of its shares in GRENLEC, but would embark on an ownership restructuring, in conjunction with a new venture it is launching. Blanchard, in welcoming Cover to GRENLEC, stated: “I enjoyed working with Colin during WRB’s involvement with DOMLEC, and we are happy to have him back with the company. His extensive experience will be a major plus for the company in view of the fact that he has overseen tremendous improvements in service levels and efficiencies at DOMLEC over the past few years, and has led that company into a new regulatory regime.